Nowadays, instant messaging has become an essential function that all the smartphone users are addicted to. Even though there are trendy chat apps like WhatsApp and Viber already available in the market, users are on the hunt for new features. Being more and more competitive over time, mobile app industries are coming up with innovative ideas catching attention from millions. But what is missing in the ideas is the uniqueness. So there happens a race among the industries wherein they bring new clone versions with the unique set of features. For an entrepreneur who wants to start up his own WhatsApp clone business, firstly should know how WhatsApp came to its success tag. Here we go. WhatsApp is said to be a lucky app that received a tremendous success in a short period of time. It was founded in 2009 by two ex-Yahoo employees- Brian Acton and Jan Koum. Even without any advertisement on the app, they earned millions of dollars. According to the reports, it is stated that about 250 million people are using this incredible app in a month. So now are you thrilled on creating your own WhatsApp like app? But before heading towards it ensure well in advance that developing a WhatsApp-like messenger app should yield feasible business goals. Make sure that all features are available easily with simple yet effective user-interface. File Sharing- Users are more fond of sharing their pictures and videos than just sending messages. So a file sharing feature enabling them to share up to 50MB would be much profitable. Group chats- Group chats become more lively and fun-filled when it can be with a huge list of users. Won’t you feel happy if it is with up to 1000 users? Facebook profile pic sync- Once the user logins, this feature enables them to synchronize their Facebook profile picture and name in the application. Effective image cropping- Pictures can be made more beautiful with an effective image cropping mechanism that helps out with cutting out the unwanted parts from the image highlighting only the essentials. Apart from this, the other features that need to be included for developing a successful instant messaging app are video chats, phone calls, group calls, encrypted chats, support for various data formats(text, audio, video, emoticons, images, stickers etc.). How much does it cost to create your own chat app? First of all, it must be clear that the cost of developing an instant messaging app like WhatsApp depends on various factors. Normally the cost ranges from $1500 - $10000. But as I have mentioned earlier, it ranges depending on your requirements and time. 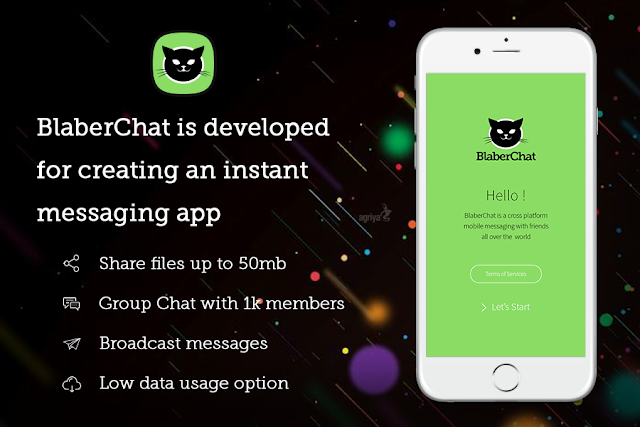 If you go with a ready-made WhatsApp clone script - BlaberChat, you can finish the app development in a minimum budget and less duration of time. 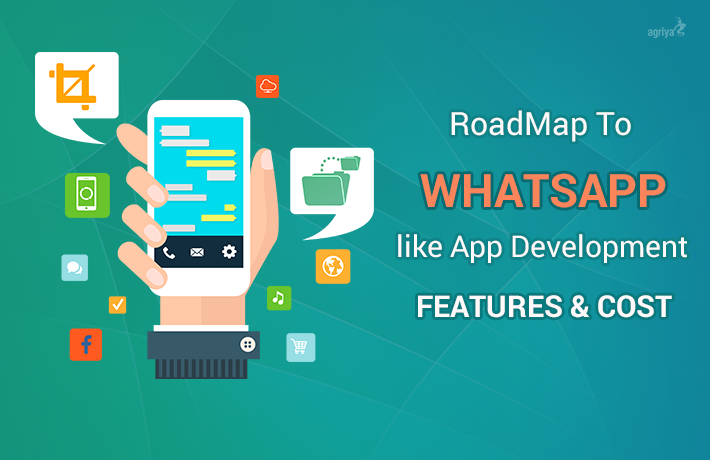 These days, the messaging market shows a continuous progress, wherein there is still a chance to create a WhatsApp clone app that will get a decent market share. But as it may be considered to be time consuming I would always prefer to go with the WhatsApp clone scripts that are now available in the market enabling you to launch your products within a span of time.